Drägerwerk AG & Co. KGaA, which develops equipment and solutions in the fields of medical and safety technology, introduced its new IncuWarmer Babyleo TN500 at Arab Health 2017 held in Dubai, United Arab Emirates. Dräger’s IncuWarmer Babyleo TN500 offers optimal thermoregulation in open care, closed care and transition. The device provides superior thermoregulation through three synchronized heat sources in order to ensure the temperature is maintained even when the hood is opened. The device also has an automatic humidifier to automatically adjust the humidity level according to the temperature settings. The device provides a stable micro-environment for the premature baby and is quiet, typically operating at 40 dB(A). Image: Dräger introduced its new IncuWarmer Babyleo TN500 at Arab Health 2017 (Photo courtesy of Dräger). The Babyleo TN500 supports kangaroo care, a technique where the infant is held on a parent’s chest, and ensures that the baby is monitored during skin-to-skin care and that the device’s settings remain set for the baby’s return. The Babyleo TN500 is the first device to also include an audio function, which allows parents to play music or recorded voice files for their babies via an MP3 player plugged into the side of the device. A small loudspeaker delivers the recording inside the device at a low, controlled volume. The Babyleo TN500 also has a Family View screen with a user interface that displays a select number of easy-to-read medical parameter values, in order to reduce parent anxiety, and also includes the baby’s name and a personalized icon so that each device is individualized. Parents and caregivers are also offered a choice of seven different mood light colors to gently light the floor area and create a pleasant atmosphere. 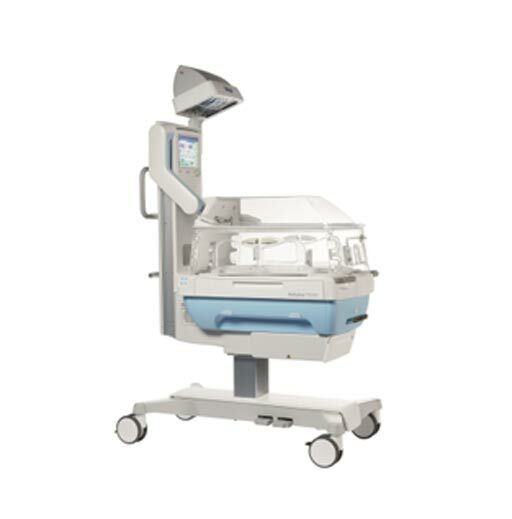 Additionally, wide-ranged height adjustment function, jumbo hand ports, an easy-to-open hood, generous storage space, and a bed coupling system for the Dräger Babylog VN500 ventilator facilitate easier workflows.